This pilot study established that a methodology that employs biological markers can be useful in determining the physiological and psychological effects of hate speech. 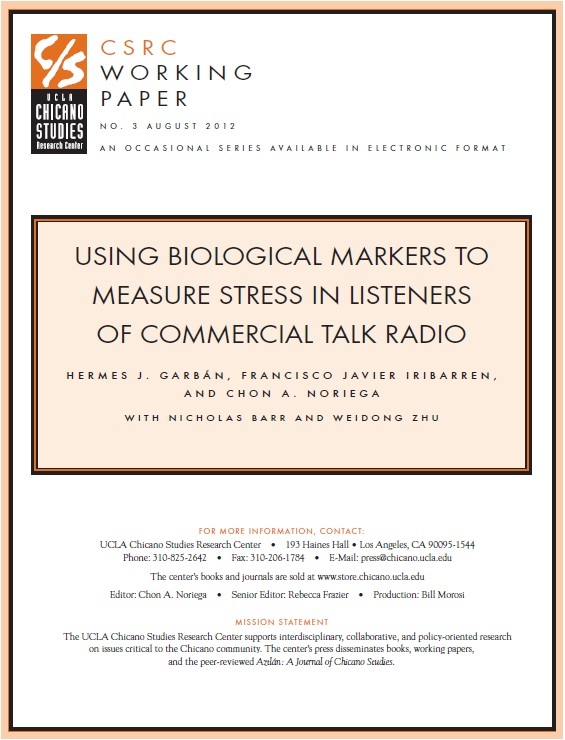 The findings show a statistically significant correlation between chnages in clinical anxiety and the production of salivary cortisol in listeners who were exposed to hate speech content on commercial talk radio. The research reveals that hate speech could potentially have a deleterious impact on the health of listeners, whether or not they are ideologically aligned with the host.